使用機器：PHILIPS IE-33（Philips Medical Systems, Best, The Netherlands），3Dマトリックスプローブ（X-7, X-5）. 2D TTE X-plane image of normal tricuspid valve: upper two lines are AP diameter, lower two lines are SL diameter. Lines show diameter change during one cardiac cycle. AP: Anteroposterior, SL: Septolateral. TV dynamics Type classification: Normal control vs. HLHS/RAI group. Type-1: area decreased in systole, Type-2: area increased in systole, Type-3: no significant change in systole. Type-3 was predominant in HLHS/RAI group. Tricuspid valve area during systole. 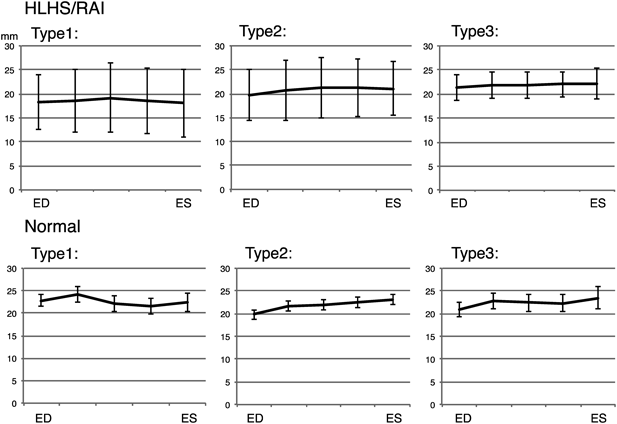 Points represent mean values and vertical bars represent the 95％ confidence interval of the mean. ED: end diastole, ES: end systole. SL diameter of the tricuspid annulus during systole. In the HLHS/RAI group, SL diameter change decreased in Type-1, -2, and -3. Anteroposterior diameter of the tricuspid annulus during systole. 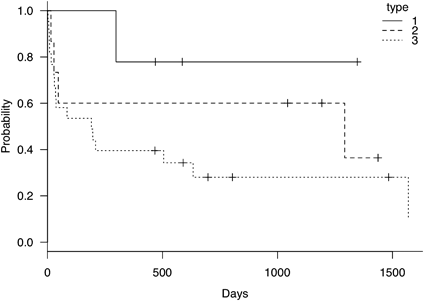 AP diameter showed no significant change between the HLHS/RAI group and normal controls. 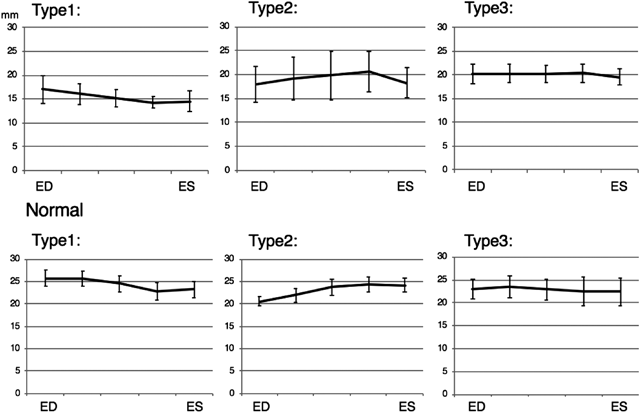 Points represent mean values and vertical bars represent the 95％ confidence interval of the mean. ED: end diastole, ES: end systole. 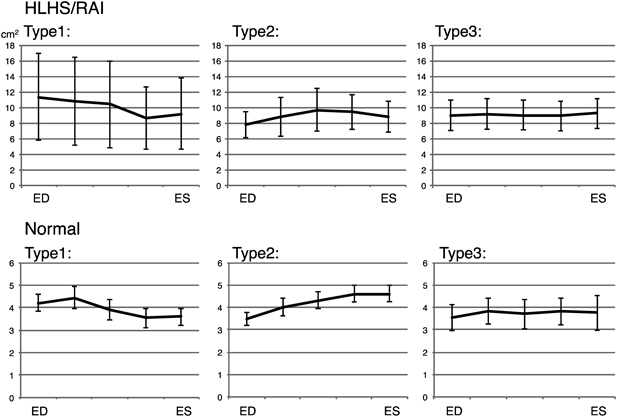 TV dynamics Type classification: High-grade TR group vs. Low-grade TR group. Type-3 was predominant in the high-grade TR group. Unit: cm2, ED: end diastole, ES: end systole. 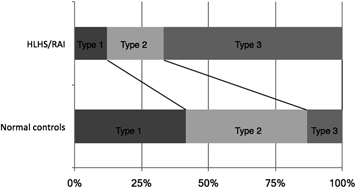 Compared to Type-1, Type-2 and Type-3 had a high probability of TR deterioration. Typical case with AVV interaction: Septolateral Diameter. 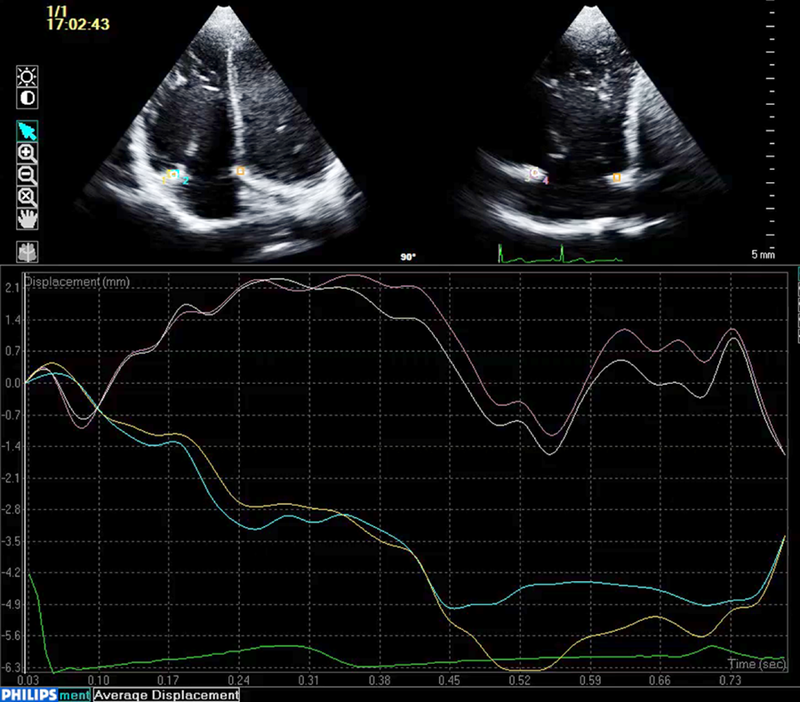 Upper bars show ratio of MV and TV to total cardiac cavity diameter. 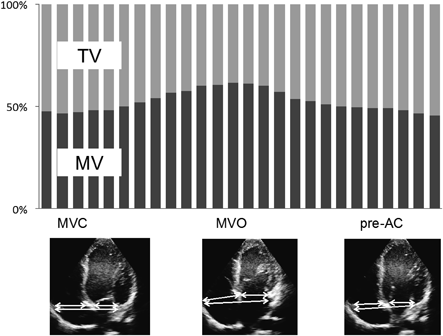 MV increases in systole and TV is compressed by the MV annulus. 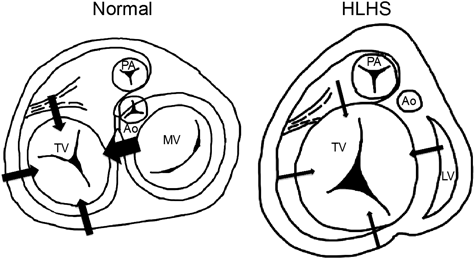 Because of the lack of AVV interaction, the TV annulus in HLHS/RAI becomes round and enlarged, and shows decreased contraction.